Mino province, which is located in the center of Japan, is blessed with springs of clear water. The paper made from this clear water, has more than 1300 years of tradition. 3120 is the successor of this Mino Paper (Mino Washi), which will pass its tradition down to the future. The techniques and art of hand-made paper have been handed down from generation to generation. By combining this culture and leading-edge technology, each positive can be turned to the advantage. 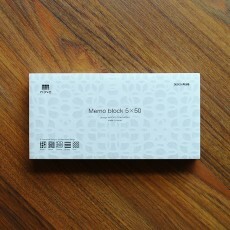 From there, 3120 proposes suitable paper and its usage in today’s life. A word “MINO” appears when turning “3”and ”2” of “3120” on its left side. As familiar numbers can be seen differently by changing your perspectives, 3120 project sees traditional Mino Paper (Mino Washi) with fresh perspectives. It breaks the existing image of Washi (Japanese paper), and pursues the time-evolving modality of paper as tools in our everyday life. Artist Hiroko Takahashi has engaged in its design & art direction, and Design Director Shu Hagiwara has produced it. 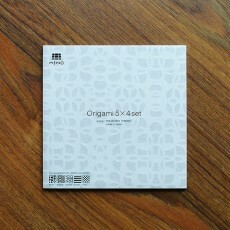 3 unique manufacturers from Mino have joined and been creating products by applying their specialties. Paper used in Products of 3120 has lacework called watermark. 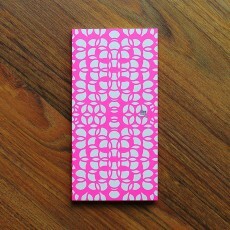 Creating this special fine-patterned paper requires high technology which satisfies many strict conditions. 3120 project began from developing the mold for this delicate watermark. 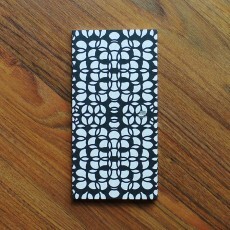 Attractive pattern designed by Hiroko Takahashi is inspired from the number 3, 1, 2, and 0. This paper came into its perfection by choosing ideal raw materials to express its delicate pattern, and constantly adjusting the balance of its thickness and transparency. 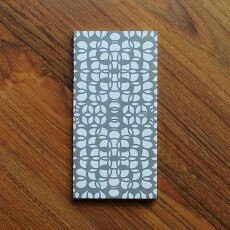 The lacework paper, perfectly balanced yet fine, is now proudly presented. Smooth and thin, yet strong, 3120 Watermark’s making procedures differ from those of common watermark, as it uses the technique of simultaneously making patterned paper and plain paper, and joining them into one piece. 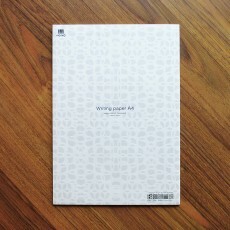 In 3120 original Watermark paper, techniques and patterns has beautifully harmonized with the backbone of the tradition of Mino Paper (Mino Washi). 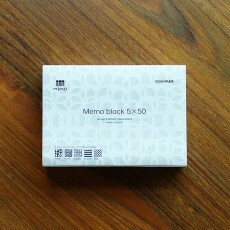 The memo pad is available in 3 sizes: S size is square, M size fits into C6 (114x162mm) envelopes.. 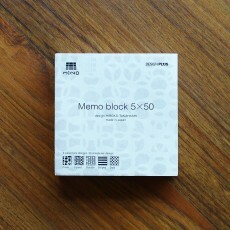 The memo pad is available in 3 sizes: S size is square, M size fits into C6 (114x162mm) envel.. 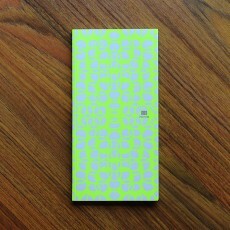 The best characteristic of this notebook is its lightness compared to standard notebooks using we..
Beautiful watermarked-pattered Origami paper, set of 20 sheets contains all 5 patterns of *3120 W..